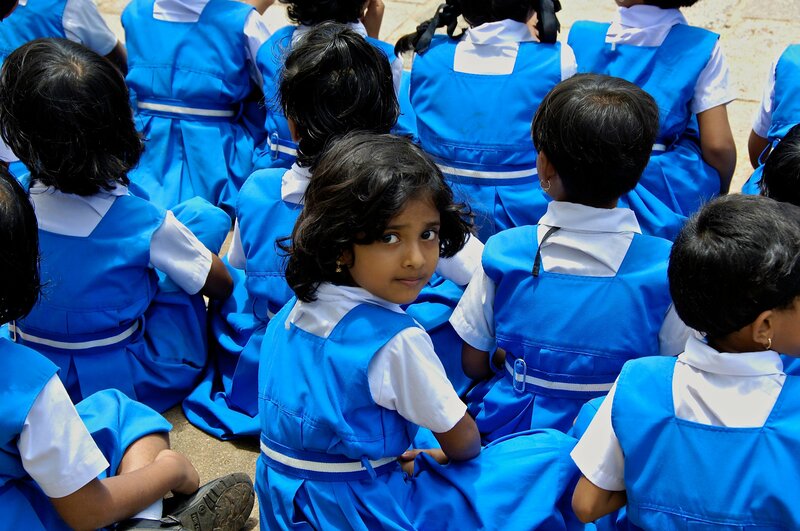 India is the world’s largest democracy and also the world’s youngest country. Good citizenry is the key to building healthy and vibrant cities. 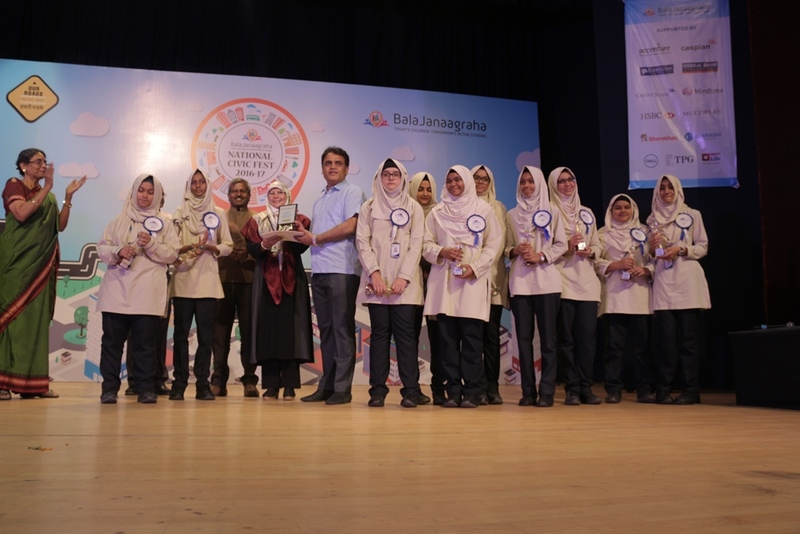 Our goal is to empower and enable every child today to be an active citizen tomorrow. 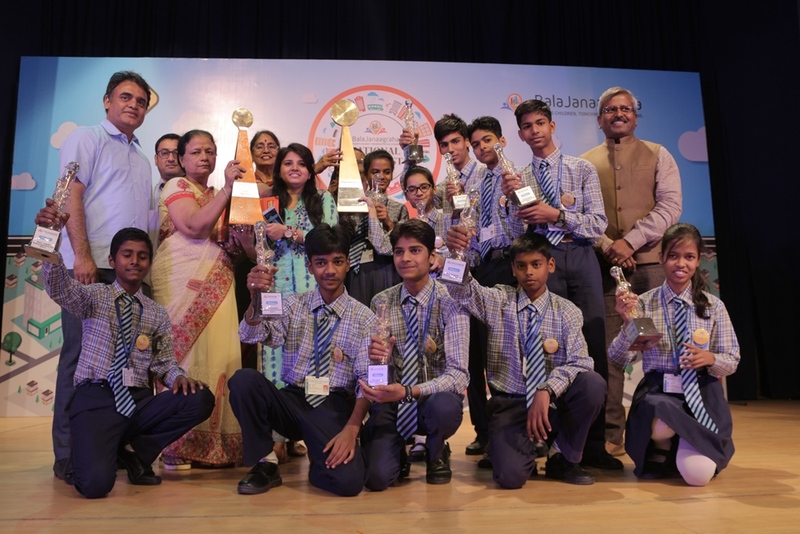 We have over the last sixteen years engaged over 200,000 students in class 8 across 500+ schools in 25 cities. As part of this program, we deliver the I Change My City resource book which focuses on practical civics in a city, and convene a project activity. 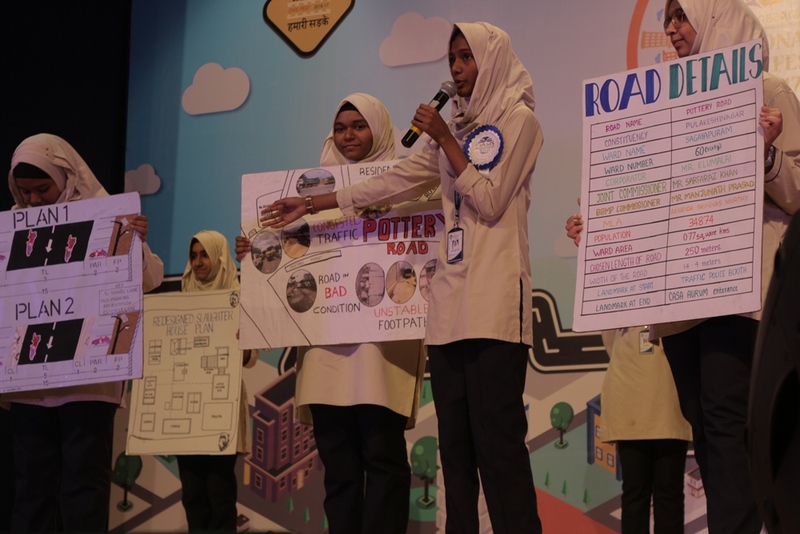 As part of the civic project activity, students form teams, adopt a street near their school, ascertain all the quality of life challenges on the street through a survey, engage stakeholders on the street such as residents, shopkeepers, traffic police and others and come up with a model solution to improve the quality of life on that street. 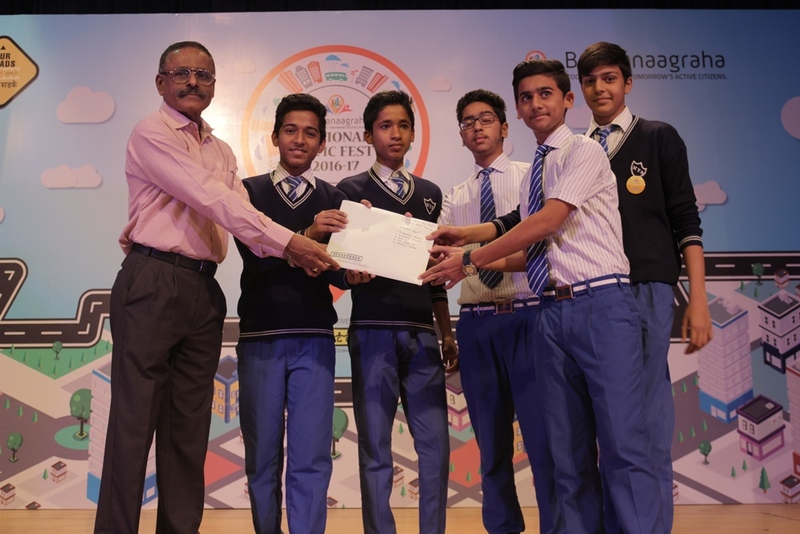 The students then present their model solution to the Commissioner, Mayor, MLA or other elected/administrative official. The program design and construct has been planned to enable skills such as critical thinking and reasoning capacities, collaboration, multidisciplinary thinking, deliberation and bridge‐building among others. 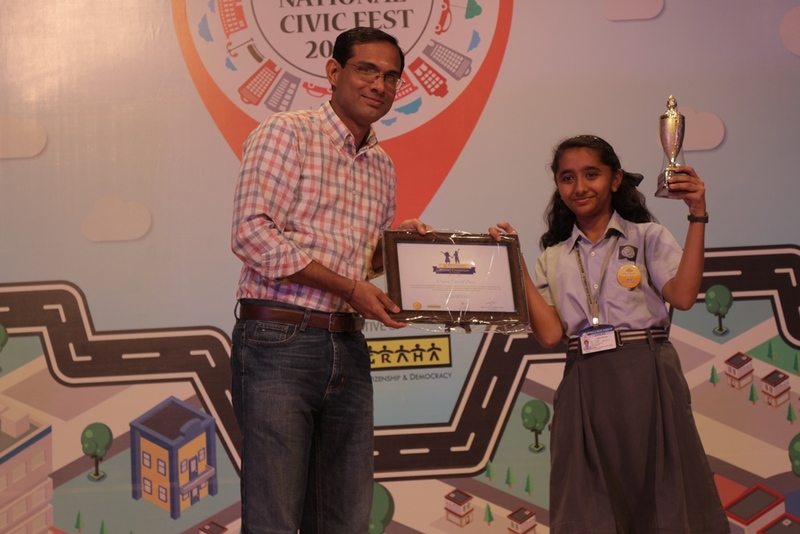 While the content promotes activity based and experiential learning, the civic project activity aims to make children think beyond symptoms and about root causes, engage with their local communities and feel empowered to be a change maker while also building in students critical skills for their future. Delivery of 14 X 40 minute sessions through June – September. The classroom sessions would be delivered through a set of standardized lesson plans. 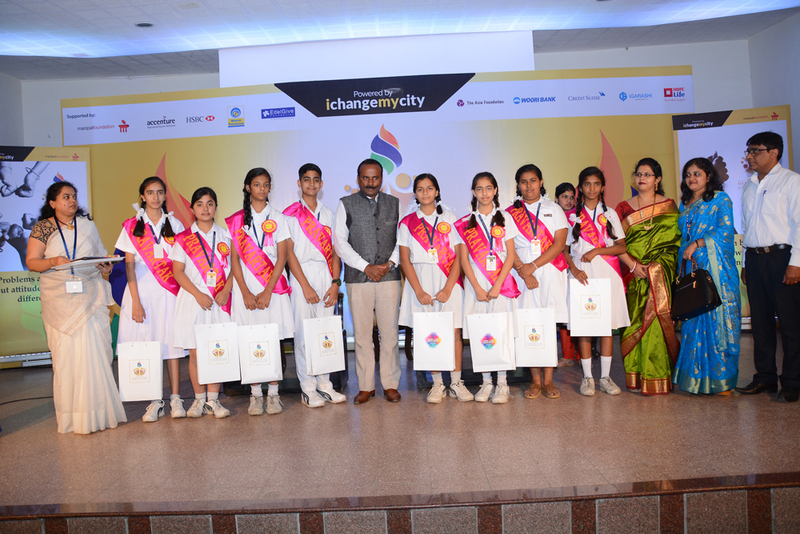 As part of the experiential project activity, sessions would be conducted in these schools to deliver the I Change My City Challenge Activity. Civic Literacy tests would be conducted in these schools as part of the Monitoring and Evaluation of the program. School teachers imparting civic learning using lesson plans (aligned to NCERT curriculum) designed by Janaagraha. Delivery of 18 lesson plans aligned to content of the NCERT curriculum across 6 chapters of 6th – 8th grades by school teachers through activity based learning. 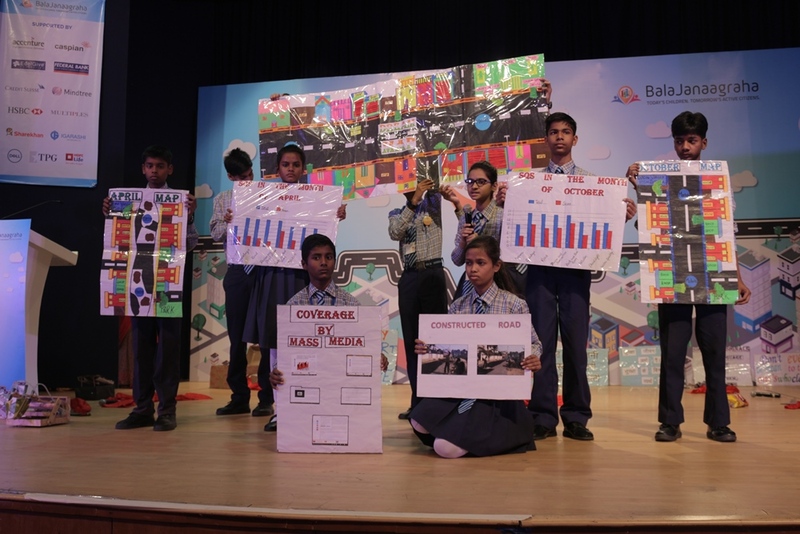 Delivery of 4 sessions (Active Citizenship pledge, Experiential Classroom Activities, Experiential Field Visit) thereby providing exposure to an abridged version of Civic Learning. 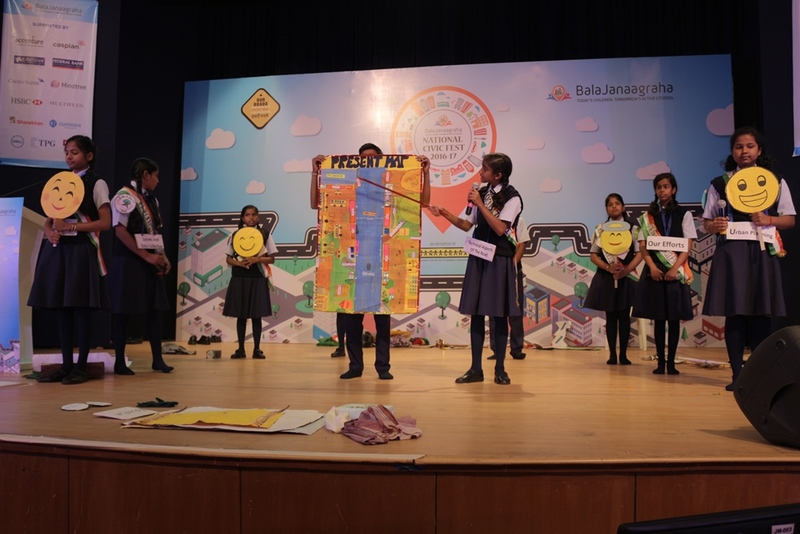 ‘I Change My City Challenge’ is an open civic project that provides students from Classes 6th and 12th from any school from any city in the country an opportunity to engage with a civic issue or any other issue that affects them, their school or their community. 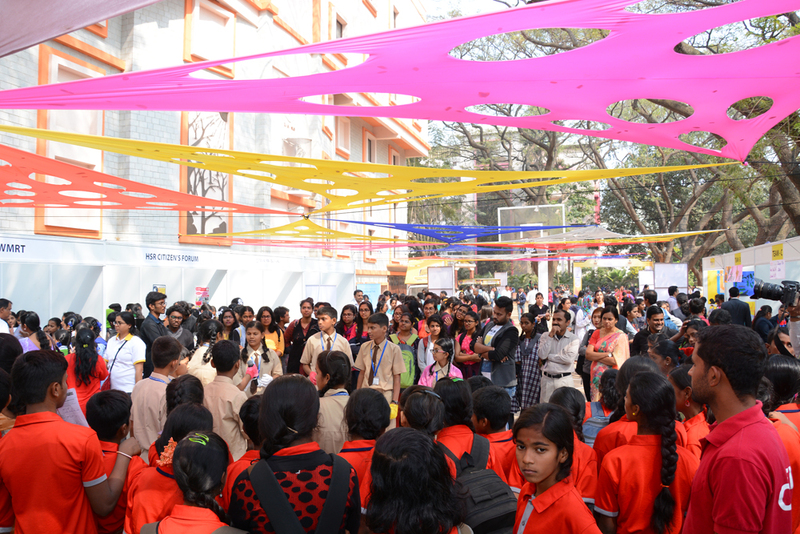 The I Change My City Challenge culminates in the I Change My City Civic Fest, an expo to celebrate active citizenship. 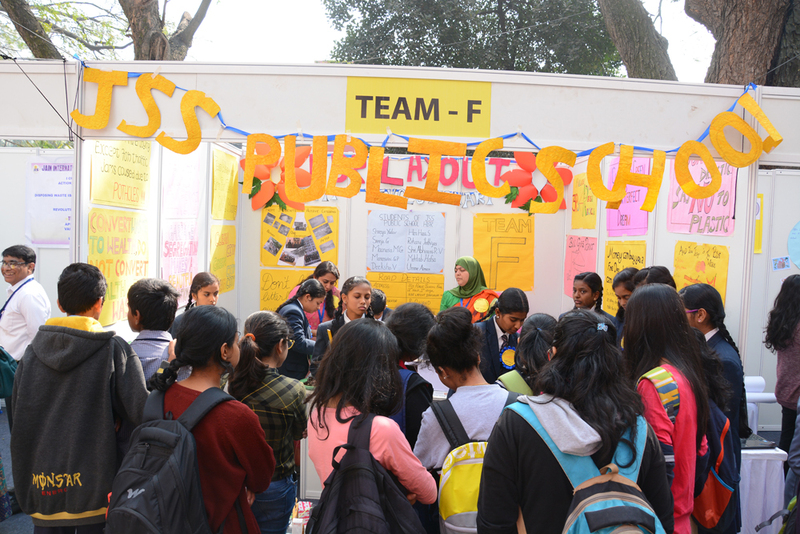 At the I Change My City Civic Fest, select teams get a chance to have stalls where they can showcase their civic projects to an audience comprising school students, college youth, citizens and elected and administrative leaders. Prarthana Ramesh works as Manager-Bala Janaagraha, North - East Zone. She has a Degree in Journalism and has been involved in the Development Sector from the past 4 years. She loves travelling. .
Sunitha initially joined as a facilitator & moved on to become the Manager, South West Zone. She is a Mathematics graduate with a Masters diploma in Computers. Sunitha pursued her career (first innings) in the field of backoffice. She has worked with NBFC, manufacturing companies, pharmaceutical company in difference places which includes Bangalore,Ahmedabad, Abhudhabi. Currently she settled in Bangalore and since she find sometime, she has started working to pursue her career (second innings!!!) with some social cause attached to it. Reema Govil joins us as Senior Associate-Quality Assurance in the Bala Janaagraha Team. She has completed Masters in International Development from London School of Economics and Masters in Child Psychology from Delhi University. She has been working in the Development Sector for the past 7 years in the areas of education, poverty, health etc. with several international and national organizations such as World Bank, WHO, CORD, National Law School etc. Her core expertise areas are Qualitative Research & analysis, M&E, Project Management etc. Her hobbies are reading, travelling and baking. Sangeetha Ravi joins us as Facilitator Bala Janaagraha. She holds a Masters in Financial Management, with a total of 8 years of work experience. She has handled multiple roles in these 8 years, as a trainer, financial auditor & training coordinator across organizations like HP, TCS and Accenture. She is an adventure and sports enthusiast. She is also a frequent trekker, having scaled a lot of hills of Western Ghats and Himalayas. Manjula.M joins us as Facilitator- Bala Janaagraha in the Jana Roots Team. With Masters of Social Work from Dr. Ambedkar Institute of Management Studies, she has worked with St.Johns Research institute as a Psycho-Social-Assistant for Soukhya Project which aims at educating public on Domestic violence. Her hobbies are reading books, playing games. Poornima joins us as Facilitator Bala Janaagraha in the Jana Roots team. She has completed Master in Science (Psychology) from Bangalore University and PGDHRM from KSOU. Prior to joining us she has worked as behavioral therapist in BMI. Shailesh joins us as Facilitator Bala Janaagraha in the Jana Roots team. He is a B.com graduate and holds a diploma in travel and tourism. Ranjitha U R works as a Facilitator-Bala Janaagraha, Bangalore. She is an Arts Graduate having over three years of experience in accounts and customer care service. She also holds a Diploma in Medical Laboratory Technology. She has previously worked with organizations such as Wipro, Micro engineering enterprises. The passion for teaching has brought her to Bala Janaagraha. Her hobbies are cooking, singing & travelling. Sharadha Ravi works as a Facilitator-Bala Janaagraha, Bangalore. She has a Bachelors in Science. As an educator, she is a seasoned professional with strong experience in back office management, operations, tutoring and mentoring. With an international exposure in USA and India, she is skilled in Accounting, Mathematics and Science disciplines. As an entrepreneur she led an IT service firm in Washington DC metro area. Over the course of her career, she has been engaging in social causes and has volunteered in support of various community initiatives. In her spare time, she likes to read fiction and alternative education methods enriching the children. Rajalakshmi R works as a Facilitator-Bala Janaagraha, Bangalore. She has a post graduate degree (MBA) in Finance and HR from Mount Carmel Institute of Management. Prior to joining us, she has been in the Investment Banking Industry for 11 years. She has been associated with Deutsche Bank, Goldman Sachs and HCL Technologies during her decades tenure in the Industry. She is fond of books and like to stick to fiction genre. Music is her other favourite hobby. Malini Anathraj has joined Janaagraha as a Facilitator in the Bala Janaagraha team. She has completed her MA Sociology from Bangalore University. Prior to this assignment she has worked as a teacher. Her corporate experience includes working for AAN Technologies as Manager – Operations. She loves listening to music and riding her bike. 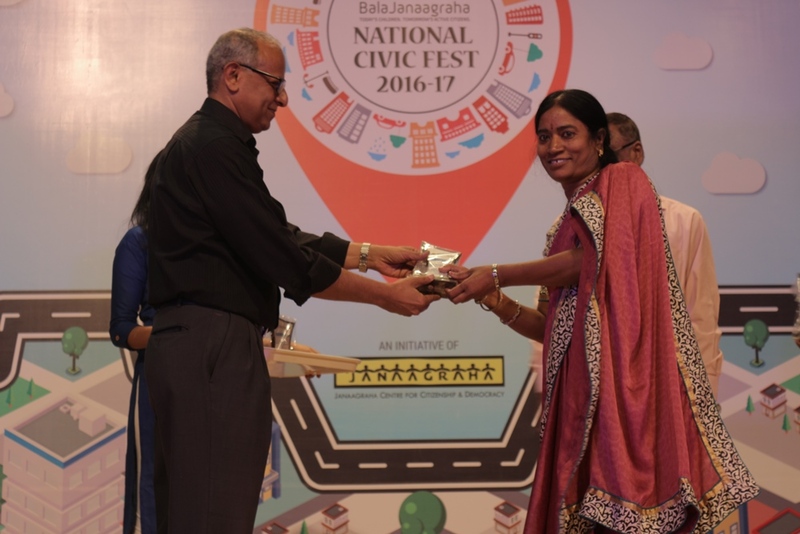 Sumathi Raj works as facilitator for Civic learning programme. I am a commerce graduate with an overall 16 years of experience in customer relationship stream. Have been associated with organisations like AVERY DENNISON (INDIA) PVT. LTD and TIRUPATHI ADHESIVES PVT LTD before joining Janaagraha. Like to spend free time with friends and family. 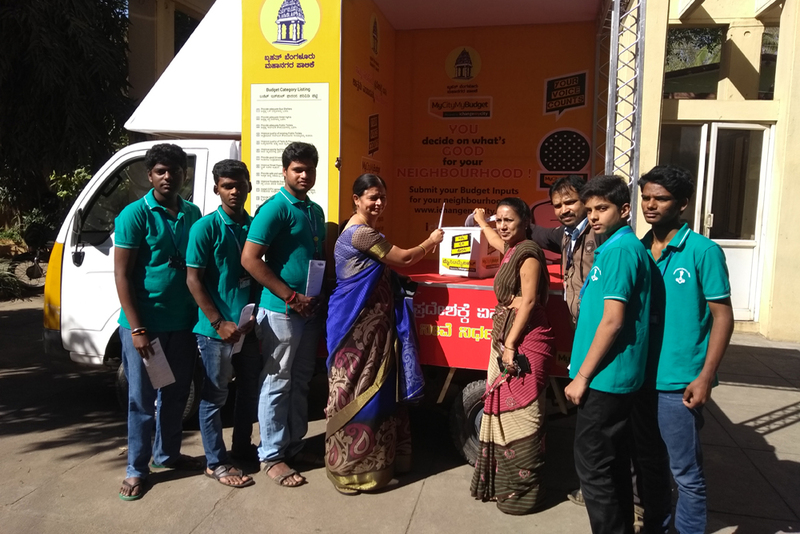 Rajasekar joins the civic learning of janaagraha team as a Facilitator. 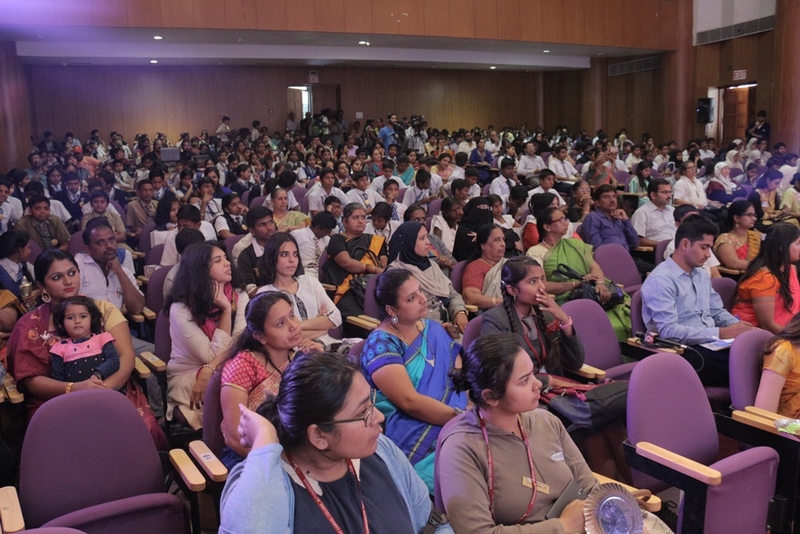 Having completed his scholling form the Danish Mission school he pursued is under graduation and post-graduation in Science with specialization in Medical Sociology from Loyola College, Chennai. While working for LXL Idea Ltd for 4 long years he was also engaged in teaching & training. His deep interest to work with children has bought him to Janaagraha and most keenly to Bala Janaagraha Program. Apart from preparing for his sessions, he enjoys being with friends and watching movies. 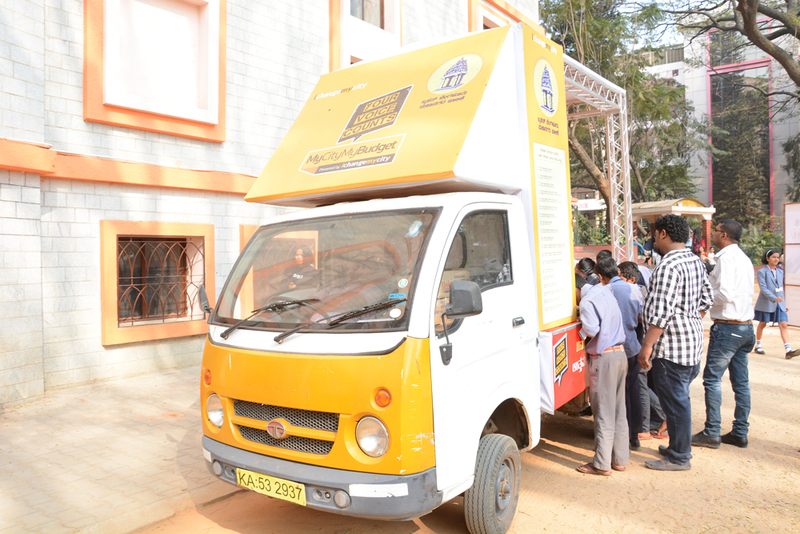 Embus has joined the Bala Janaagraha team as Facilitator – Cochin. While he is a fresher, he has joined us with keen interest in social sector. He has completed his under graduation in 2018 from Union Christian College, Aluva, Kottayam in BSc (Electronics and computer maintenance) with 3 years of work in seminary before his graduation. The experience and training in seminary has impacted him deeply shaping his character and personality. He loves watching movies and enjoys travelling & cooking.